Corn Capital Innovations offers a full service of Crop Insurance products that cover many of the perils that affect top yield potential while providing you and your family peace-of-mind. The weather is any one’s guess and having the correct insurance will certainly help to manage the risk that farmers take each and every year. 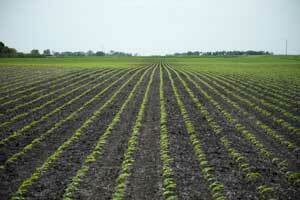 All or a portion of your crop acres can be insured. You decide how much risk that you want to handle and then we write the policy to manage that risk. Crops can be insured at any time up to a specific harvest date. Protection for loss due to fire or loss in transportation is available. Additional coverage is available to protect your revenue, profit or to cover costs when you are faced with the need to replant when these benefits are not protected by multi-peril crop insurance. Actual Production History (APH) coverage is available based on your yield history. We will work with you to set a comfortable level that best fits your family’s goal. With Yield Protection (YP) we can insure that you receive replacement income when your crop yield does not achieve a previously specific level, due to many different perils. These policies are available on varying levels. Both APH and YP plans are yield-based policies. These policies are offered to protect you due to natural causes such as wind, hail, frost, drought and flooding. These policies can be written to include the damage from infestation from either disease or insect. Each policy listed above must be scripted to list each specific crop. Coverage’s are paid only when or if production falls below the prearranged production that we will establish in the Spring. Revenue Protection (RP) and Revenue Protection with Harvest Price Exclusion (RP/HPE) policies offer revenue protection based on both your actual yield and grain market price potential. Either plan will combine your production history with current grain market price to establish the revenue protection. RP plan does allow for fluctuation in market prices and will be based on the actual price in effect in the Fall. The RP/HPE excludes the Fall market price aspect and limits the revenue guarantee to what was established in the Spring. Both plans protect against lost revenue affected by low market prices, low yields, or a combination of both. Corn Capital Innovations is here to help you make the best choices possible. We understand what you are going through, because we have been there too. Let us help you determine the next steps in protecting your crop. Contact us today!